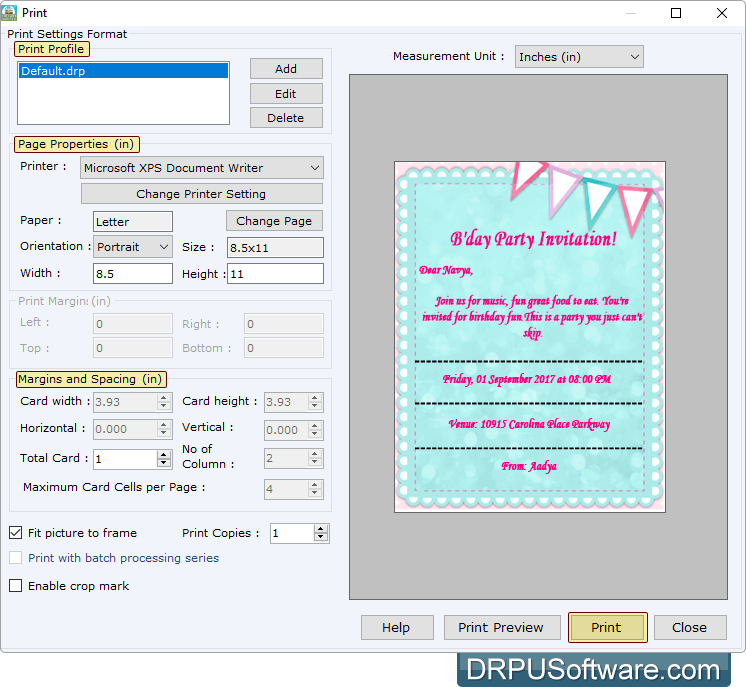 Design printable birthday invitation cards with DRPU freeware Birthday Party Invitation Card Maker. Now design amazing Birthday Invitation cards to invite yours friends and loved ones. 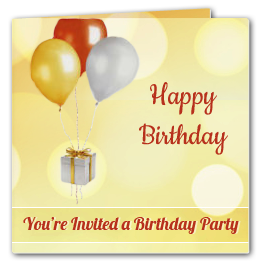 • Free Birthday Party Invitation Card Maker design multiple birthday cards with different images and text value using 'Batch Processing Series' option. 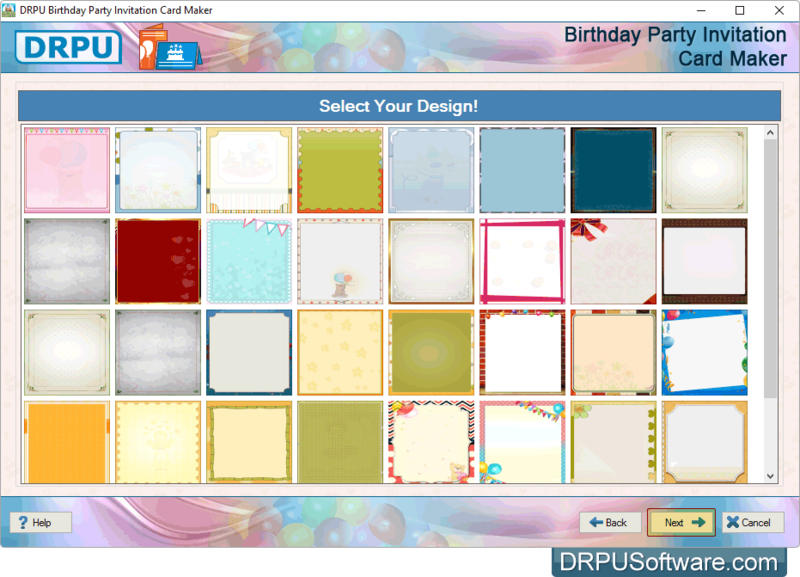 • You can also print designed birthday cards using advanced print settings option. To Design Free Party Invitation Card for Any Other Occasion, Go to "All in One Party Invitation Card Maker"
Send designed birthday cards to the specified email ID using Email setting option. Advance Print setting option to print designed birthday cards as per your requirements. 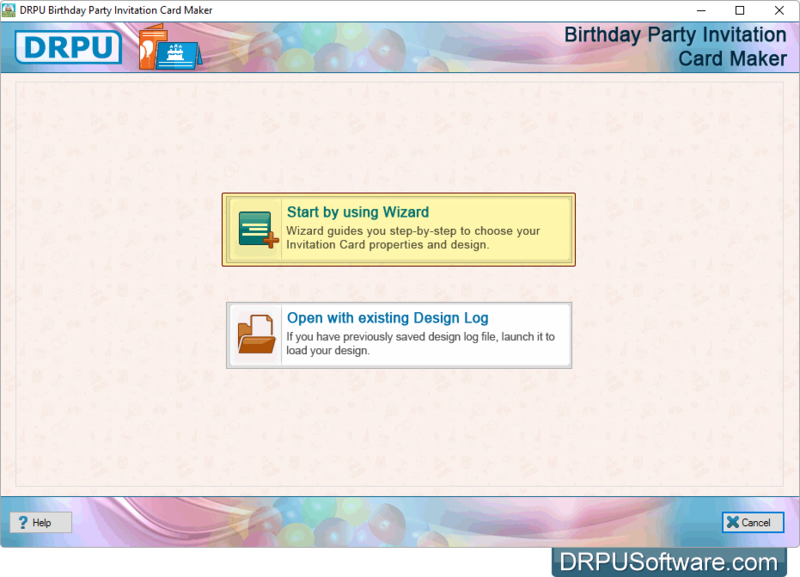 You can design birthday card either by choosing 'Start by using Wizard" option or "Open with existing Design Log" option. 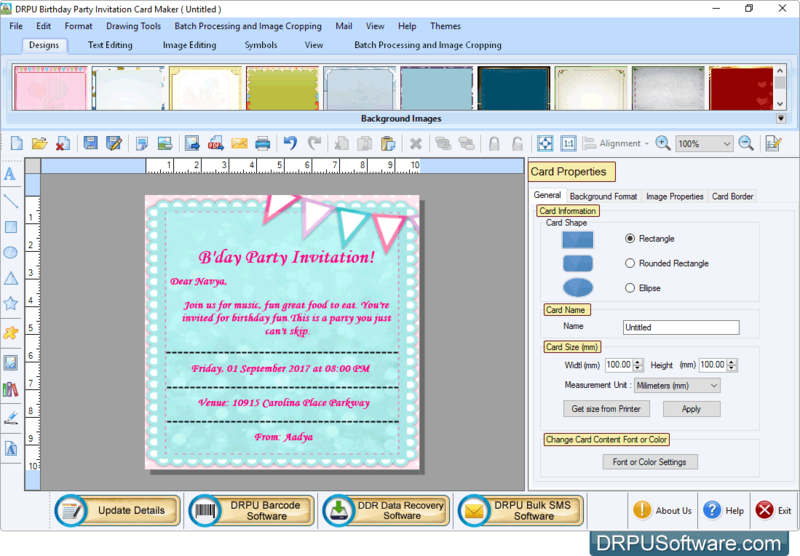 Image Cropping Tool to crop multiple images as per your requirements while designing birthday invitation cards. Select any one option either 'Start by using Wizard' or 'Open with existing Design Log' to start designing Birthday Card. Choose your design for your birthday card and click on 'Next' button. 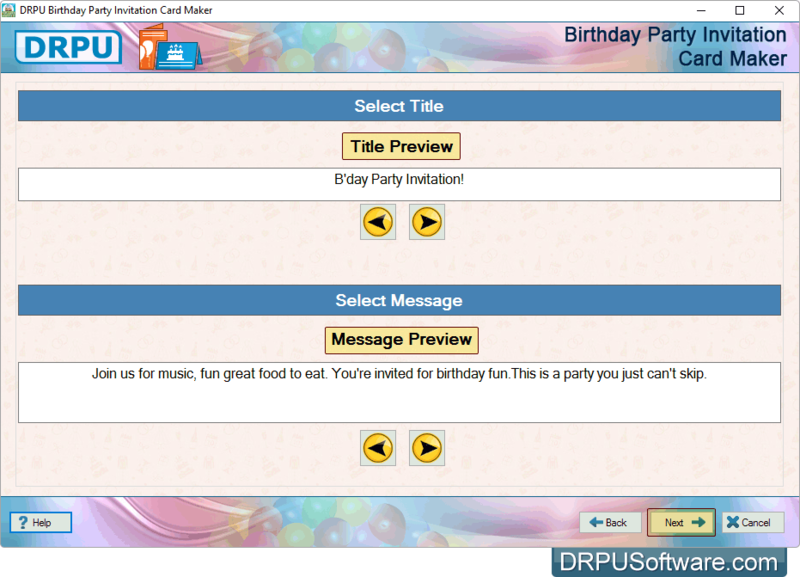 Select title and message for your Birthday Card as per your choice and proceed to 'Next' button. If you want to do any further modification in your birthday card, You can use 'Card Properties'. To print designed birthday card, set all print settings and click on print button.